Join us for the 143rd Annual Kentucky Derby on Saturday, May 6th from 4-6pm in our Bar & Lounge! 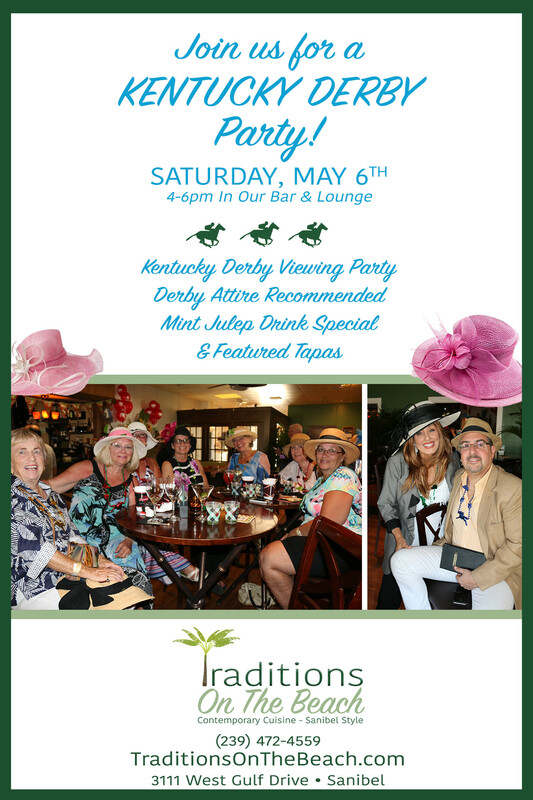 Located in the Bar & Lounge of Traditions On The Beach, this Derby Day party is one you don’t want to miss! We invite you to be ‘Cool as Kentucky & Fresh as Spring,’ during our 2-hour event. Sip on Carlo’s version of the traditional Mint Julep cocktail and indulge in a selection of featured tapas while we gear up to watch the ‘greatest two minutes in sports,’ live from inside Traditions bar & lounge. Derby attire is recommended! Get Ready to Sip on a Mint Julep from Carlo!